At $0.12 per 1/4-cup serving for dry black beans it’s hard to beat the price. Beans are a carbohydrate containing food, so you need to count the carbohydrates in your eating plan — 1/2-cup cooked beans is one carb choice, or 15 grams total carbohydrate, but beans also are rich in fiber, both soluble and insoluble, and work to reduce cholesterol levels. 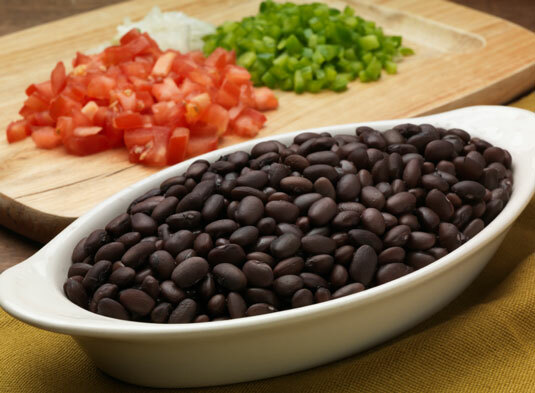 Beans are an important source of protein as well, and one-quarter-cup dry black beans packs only 70 calories. Apples, as a fruit, are a carbohydrate food, and a medium apple, about the size of a baseball, counts as one carb choice. 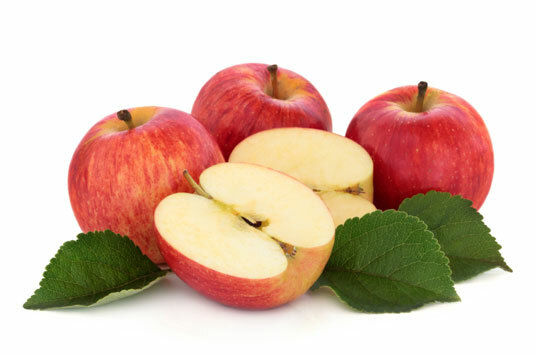 Apples also contain both soluble and insoluble fiber, and help to control cholesterol levels, and an apple gives you only about 80 calories. You should easily find crisp apples ready to take home for less than $0.50 each. 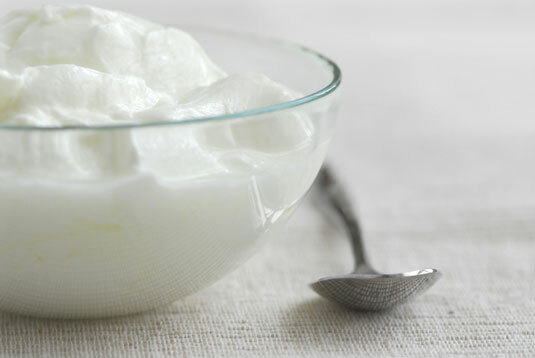 You can purchase plain yogurt in larger containers (not single servings) for about $0.60 per 6-ounce serving. Yogurt is fermented milk and includes both carbohydrate and protein as macronutrients. For diabetes management, non-fat yogurt is the better choice. Yogurt can be eaten plain, served with fruit, or substituted in dishes for sour cream or mayonnaise. It’s an excellent source of protein and calcium, and the fermentation process may improve your absorption of calcium and B vitamins in yogurt as compared to milk. A 12-ounce baking potato should go for something like $0.20 — remember, a 12-ounce potato is four carb choices. The potato sometimes gets a bum rap in the diabetes realm because of its high carbohydrate content and its high glycemic index. 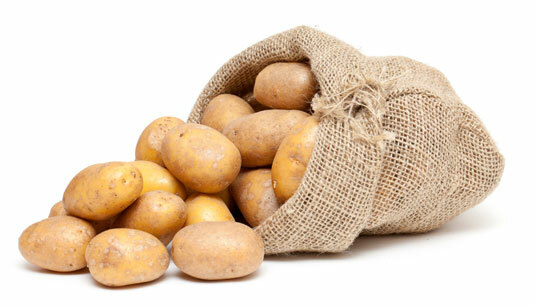 About 3 ounces of white potato is 15 grams of carbohydrate. But, this starchy root vegetable is a bargain staple food, and brings its own nutritional contributions to the table too. Potatoes are high in vitamin C, contain more potassium than any other fruit or vegetable, and are a good source of vitamin B6, which helps your body make its own amino acids. Bananas will cost you less than $0.40 apiece, and they are a rich source of fiber, vitamins C and B6, and especially potassium, which is effective in controlling blood pressure. 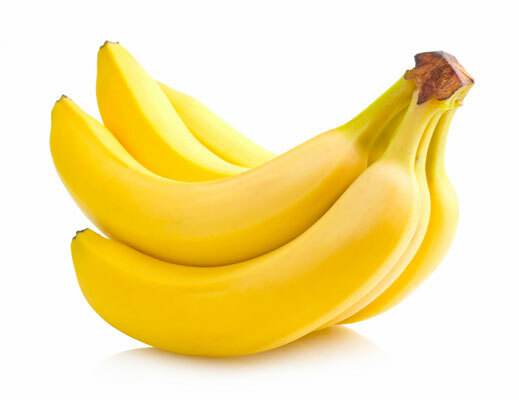 Bananas are a carbohydrate food, and about half of a medium banana will make one 15-carbohydrate-gram carb choice. At a cost of $0.05 per ounce, $0.30 for a 6-ounce carrot, these roots are a nutritional bargain for certain. Carrots are a colorful and healthy, nonstarchy vegetable, and like many nonstarchy vegetables, their color gives away some of the nutritional benefits — carotenes, and especially beta carotene, the precursor to vitamin A. 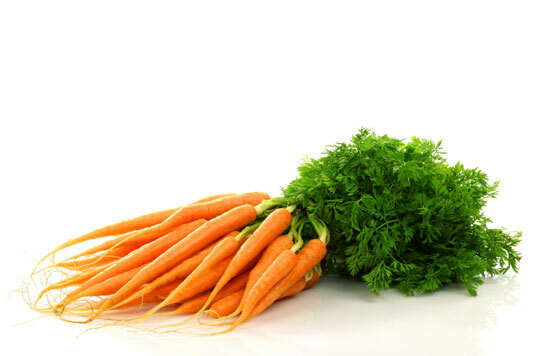 Their high levels of beta carotene are what give carrots such an unblemished reputation for eye health. Carrots also contain other active compounds, antioxidants, and other carotenoids. Dry lentils cost less than $0.10 per ounce, about a nickel per serving, and have an advantage over dry beans because they don’t need presoaking before cooking. Lentils are a legume, and therefore contain carbohydrate — a 1/2-cup serving of cooked lentils is 15 grams carbohydrate, one carb choice. 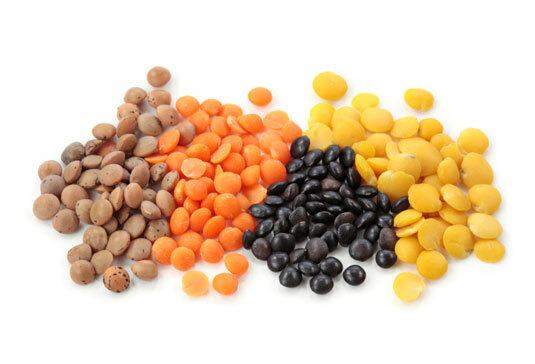 About 30 percent of the calories from lentils, however, is from protein, making lentils one of the highest protein-containing foods among plants. Lentils also offer soluble and insoluble fiber, folate, magnesium, vitamins B1 and B3, and healthy minerals like iron. Notably, lentils have a very low glycemic index value, which means their impact on blood glucose levels is slow and steady, giving insulin time to act. This makes lentils an excellent carbohydrate for diabetes. 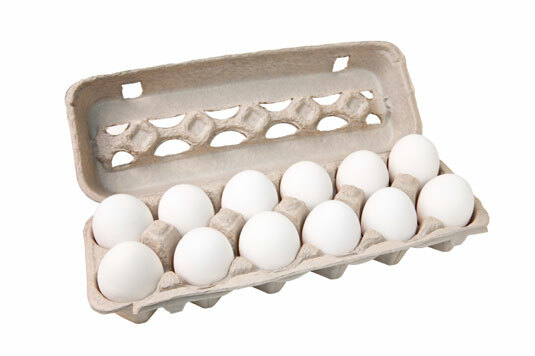 At about $0.15 per egg, you get quite a deal for the highest quality protein available. Eggs are a marvelous source of dietary protein. In fact, the amount and balance of amino acids in eggs sets the standard for how the protein in other foods is measured — eggs are a complete source of high-quality protein, containing all of the essential amino acids. But, that’s not all eggs have to offer. You also get vitamin A, vitamin D, vitamin B12, the antioxidant lutein, and choline, a nutrient essential for regulating your nervous system and cardiovascular system. For about $0.50 per 4-ounce serving, beets are an amazing find. Beets are an interesting addition to a list of diabetes-friendly foods because sugar beets are the source of about 30 percent of the world’s sugar, which is the disaccharide sucrose. 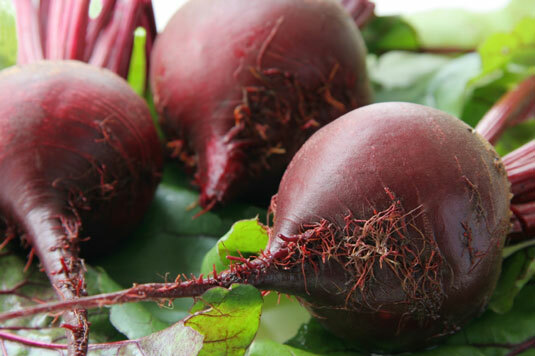 While commercial sugar beets contain as much as 20 percent sucrose, table beets (also known as beetroot, garden beet, or red beet) aren’t nearly as sweet. A 3-ounce table beet contains only 8 grams of carbohydrate, and is about 35 calories, even though table beets and sugar beets are the same species. At a cost of about $0.20 per ounce, peanut butter has been shown to improve blood glucose control, prevent blood glucose spikes, and lower cholesterol levels in people with type 2 diabetes. Peanut butter is best known for its protein and healthy fat, but peanut butter also brings fiber, folate, potassium, vitamin E, thiamine, and magnesium to your table. 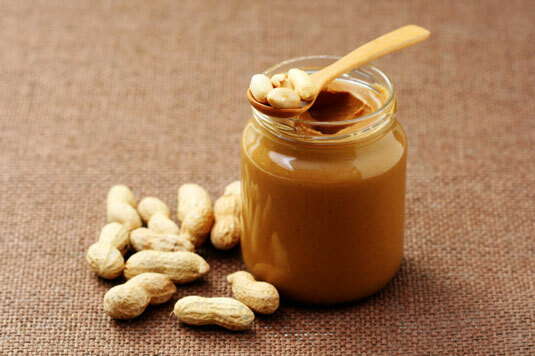 Although not considered a carbohydrate, peanut butter does contain about 7 grams per 2-tablespoon serving.